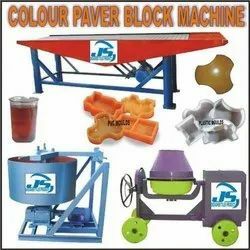 Prominent & Leading Manufacturer from New Delhi, we offer concrete mixer, colour paver block machine, dust crusher machine, cement concrete tiles making machine, concrete paver machine and fully automatic color paver machine. 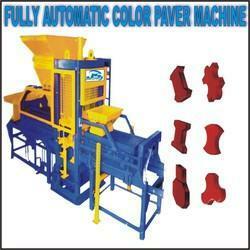 Our firm is specialized in delivering a qualitative series of Color Paver block Machine. These are made as per the specifications and requirements of our clients. This item is highly respected among our customers due to durability and sturdiness. These are tested on set quality grounds under the direction of our quality controllers. It is available in various standardized and customize options. JS Designer Tiles has own technology of grinding dust by grinding craysor machine which in superior quality and this craysor machine grind the row material fast and without any fault. Our firm is specialized in delivering a qualitative series of Cement Concrete Tiles Vibrate Table Machine. These are made as per the specifications and requirements of our clients. This item is highly respected among our customers due to durability and sturdiness. These are tested on set quality grounds under the direction of our quality controllers. It is available in various standardized and customize options. size 30" x 120" x 33"
We offer high capacity Interlock Tiles Making Machine Or Paver Machines, which are cost effective and easy to operate. These Interlock Tiles Making Machine Or Paver Machine machines can make standard as well as paves in other size as per requirement. 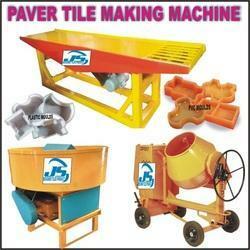 Js designer tiles product is manufacturer of fully automatic color paver machine in high quality. Keeping in mind the diversified application , we are engaged in manufacturing supreme quality of Fully Automatic Color paver machine in the market. This fully automatic machine offers easy operations and requires minimum maintenance. They are highly appreciated for its durability. Efficiency and cost effectiveness. They are widely used in construction sites and is used in the making of Color Pavers, interlocking paver , paving blocks, and so on. Synonymous with uncompromising quality and superior functionality, these paver block making machine or paver machines are immensely used for construction purpose. 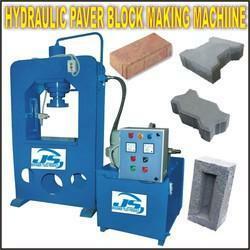 Fine grade material has been used by us to make this range of paver block making machine or paver machines long lasting in feature. 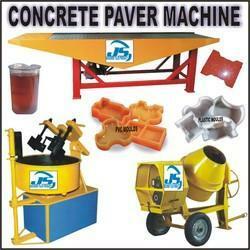 We are offering these paver machines as per clients'' requirement in bulk quantity at competitive pricing.